This video focuses on the conversion team’s goals, activities, and accomplishments in moving towards developing sustainable biofuel industries in the Pacific Northwest. In the Pacific Northwest, AHB is finding innovative ways to produce bio-based, high value chemicals using sustainably grown poplar trees. 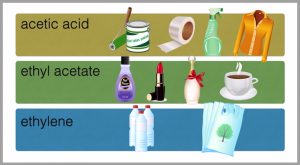 Acetic acid is a financially promising chemical that is used in the manufacture of several products, including paints, plastics, textiles and potassium acetate, the primary de-icing compound used on airport runways. 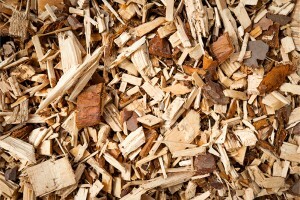 Cellulosic ethanol is one of the simplest and least expensive biofuels to make from cellulosic biomass. Most ethanol sold in the Pacific Northwest is made from corn grown in the Midwest. AHB is working to make ethanol more sustainable in the PNW by producing cellulosic ethanol from locally grown poplar trees. 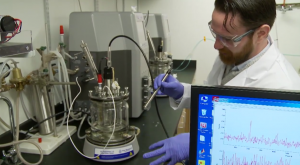 Currently, biojet fuel is the most promising renewable energy option for air transportation. 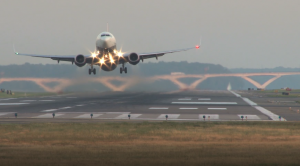 The federal government and aviation industry are interested in biojet fuel because it offers opportunities for future growth while also increasing sustainability. 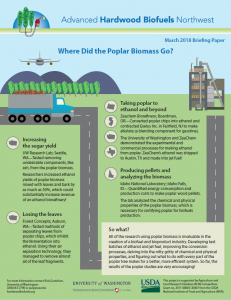 In the Pacific Northwest, AHB is investigating the potential for biojet fuel made from locally-grown poplar trees. 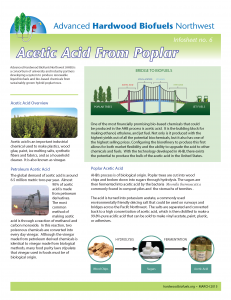 Along the conversion pathway from hybrid poplar wood chips to renewable transportation fuels, intermediate chemicals are produced, including acetic acid, ethyl acetate, and ethylene which can be used to make a variety of bioproducts that we use in our everyday lives. Nature took millions of years to convert plant materials into fossil fuels through various natural processes. 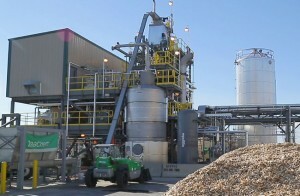 We now have the technologies in place to produce equivalent liquid biofuels in industrial settings within a few days! 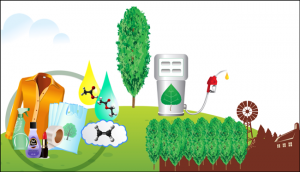 Researchers at the University of Washington are fine-tuning the process to convert hybrid poplars into acetic acid, ethanol, jet fuel, and other products. This webinar takes a step-by-step look at how woody biomass is converted to chemicals then biofuels. 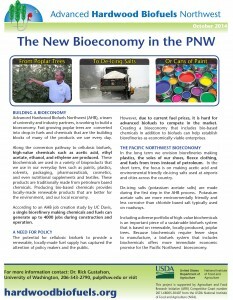 Biochemicals, produced during the conversion pathway to biofuels, offer more immediate market opportunities for emerging biofuel industries in the Pacific Northwest. 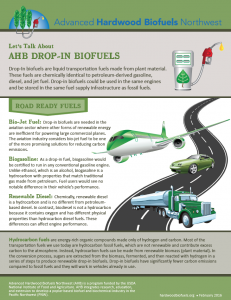 Drop-In biofuels are liquid transportation fuels made from plant material. These fuels are chemically identical to petroleum-derived gasoline, diesel, and jet fuel. 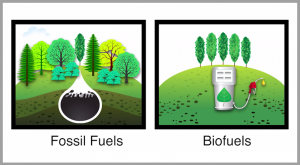 Drop-in biofuels could be used in the same engines and be stored in the same fuel supply infrastructure as fossil fuels. 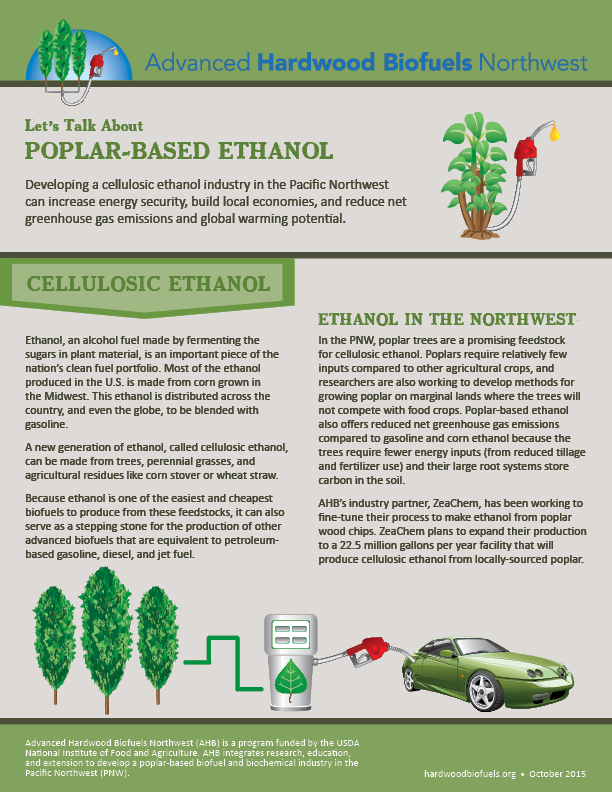 In the PNW, poplar trees are a promising feedstock for cellulosic ethanol. 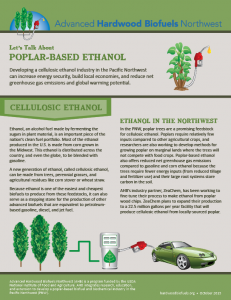 Developing a cellulosic ethanol industry in the PNW can increase energy security, build local economies, and reduce net greenhouse gas emissions and global warming potential. 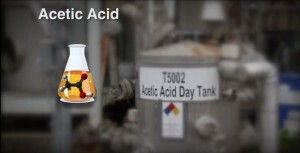 One of the most financially promising bio-based chemicals that could be produced in the AHB process is acetic acid. 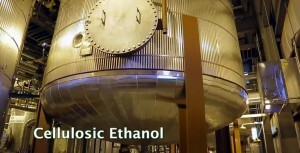 It is the building block for making ethanol, ethylene, and jet fuel. Not only is it produced with the highest yields out of all the potential biochemicals, but it also has one of the highest selling prices. Where Did the Biomass Go? Developing test batches of ethanol and jet fuel, improving the conversion processes, and figuring out what to do with every part of the poplar tree makes for a better, more efficient system. So far, the results of the poplar studies are very encouraging! On the conversion pathway to renewable drop-in transportation fuels, intermediate bio-chemicals are produced with high economic value, which can reduce risk for new biorefineries. 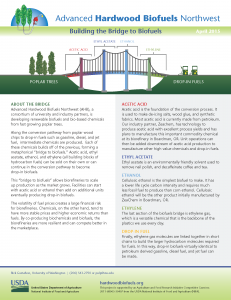 The “bridge to biofuels” shows the building blocks of drop-in biofuels and discusses the uses and opportunities of intermediate bio-chemicals. 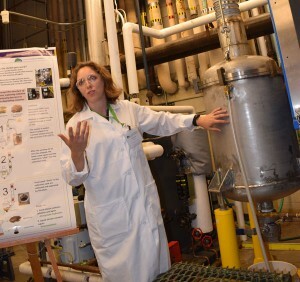 AHB is building a Bioeconomy in the Pacific Northwest. 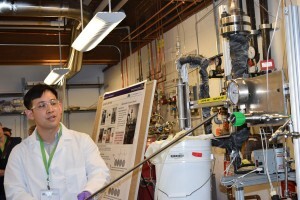 Ewanick and the UW conversion team led tours through their labs as part of the AHB annual meeting in Seattle. 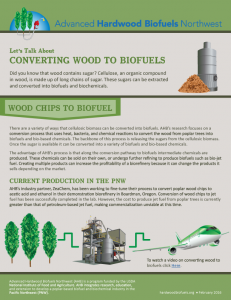 For the Advanced Hardwood Biofuels Northwest (AHB) conversion team, sugars and how they are treated are pivotal to producing several vital products from poplars.